October 21, 2018 11:06 am. Sunlight has had a look at Moonee Valley ahead of another work-out before the Manikato Stakes. Tony McEvoy is giving star filly Sunlight every opportunity to get comfortable around the tricky Moonee Valley racetrack ahead of her bid to upstage the older horses in the Group One Manikato Stakes. 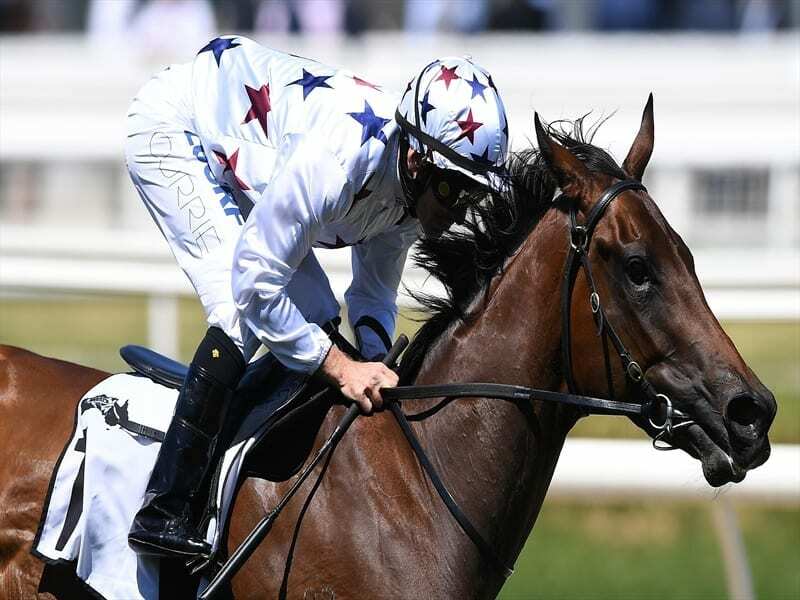 McEvoy took the three-year-old to the Valley on Saturday morning for a work-out under Luke Currie and he will take the sprinter back there on Tuesday morning for a more serious gallop. Sunlight’s last-start victory at Caulfield clinched the well-performed filly a crack at Friday night’s weight-for-age Manikato Stakes. This year’s Magic Millions winner and multiple stakes winner, Sunlight will be chasing her first Group One win having finished third in her only previous attempt at the elite level in the Golden Slipper in March. “She just cruised around on Saturday morning just to have a nice leisurely look but Luke said she felt great,” McEvoy said. “She was interested and happy and I really enjoyed watching her go around. “She’s going back there on Tuesday morning to have a gallop but I wanted her to look at it before then. Tim Clark, who won the Silver Slipper on Sunlight in his only ride on the filly during the Sydney autumn carnival, takes the ride on Friday night because Sunlight’s 51kg is below Currie’s weight range. McEvoy said there were a few reasons for targeting the Manikato. “She’s classy. She’s got speed. Moonee Valley suits speed. And she’s got the added bonus of 51 kilos,” the trainer said. Sunlight was not the only Manikato Stakes contender to gallop at the Valley on Saturday, with favourite Kementari getting his first look at the course with Glyn Schofield aboard. Kementari has been freshened for the Manikato (1200m) since finishing fourth in the Group One Makybe Diva Stakes over 1600m last month. Houtzen was another of the Manikato hopefuls to work. The Manikato Stakes is the feature race on the Friday night program before the Cox Plate meeting on Saturday.